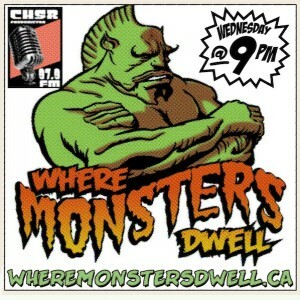 Home » Old Shows » Archive for category "Where Monsters Dwell"
Hosted by Remington J. Osborne and Monster Mike and produced by Red Shirt Ryan, Where Monsters Dwell is your weekly dose of comic book and pop culture talk radio. Bringing you live creator interviews and our own perspective on pop culture news and happenings. We are proud to call CHSR 97.9 FM in Fredericton our home. We do a new LIVE show every Wednesday night starting at 9 pm AST/ADT. This week on WMD Radio we welcome back Kel Symons. You’ll remember Kel’s work on “I Love Trouble”, and “The Mercenary Sea”, both from Image Comics. Kel is back with a brand new book, also from Image Comics, called “REYN”….